Tracking was never as easy as it's nowadays! Home » WWW » Tracking was never as easy as it’s nowadays! Tracking was never as easy as it’s nowadays! 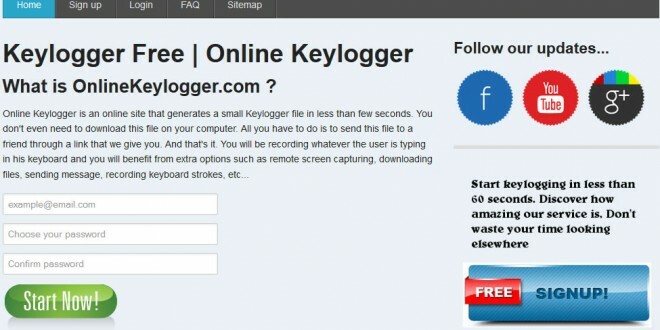 Discover the best free keylogger. Onlinekeylogger.com makes it more than easy for you to spy on any remote computer completely online without any download, installation or administrative privileges. Signing up to our keylogger is as easy as signing up for Facebook. Using this keylogger online is easy as 3-steps. You sign-up, you get a link, you send it to your victim, then you Spy on his computer. With Online Keylogger, you can start key-logging within few seconds without any hassle and with out installing any software on your computer. Next: Your Future starts here!